Siobhan braved the cold this week and completed her 7 Day Challenge on Saturday. She now has a pretty great Forearm Stand ( I will post the pictures on our Facebook Page) .What a great way to start the New Year ! Heidi found herself in the middle of a 5 day run and decided to turn it into another 7 Day Challenge. She now has three under her belt ( including The 30 Day Challenge ). 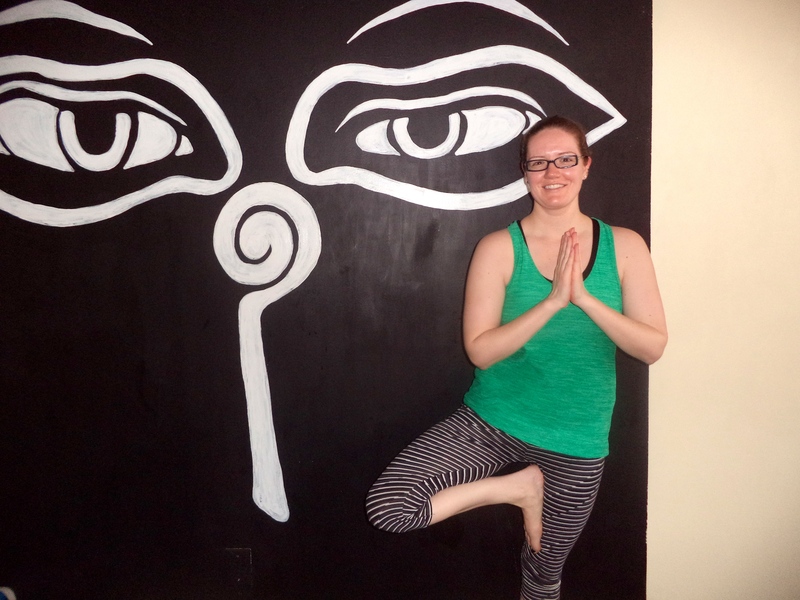 Heidi has a beautiful practice and her ardor makes her one of our most dedicated yogis. Keep up the good work women ! Grand Opening, Saturday , January 17th at 1:00pm. 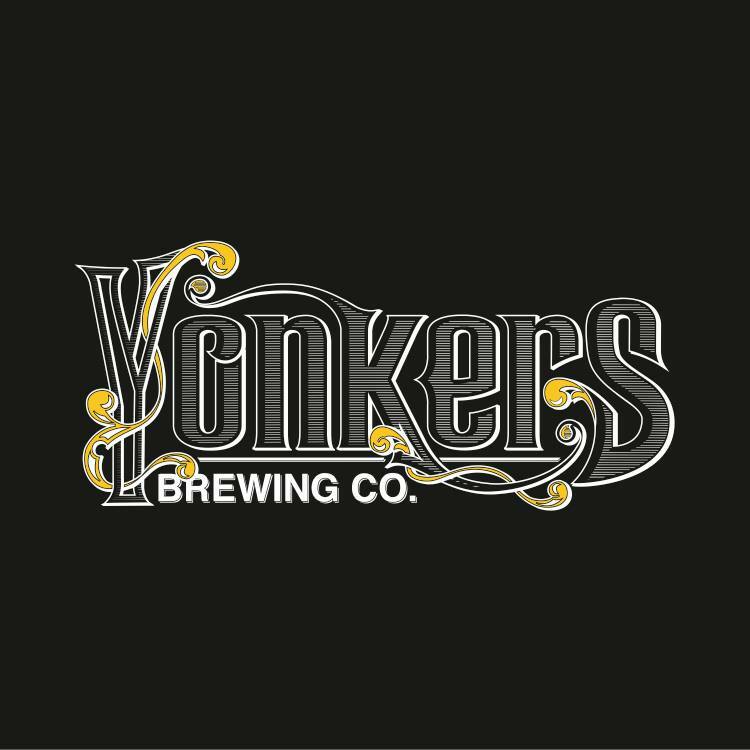 John and Dawn Rubbo from The Yonkers Brewing Company have been practicing with us at The Stretch along with many of their family and friends (including John’s partner Nick and his Mom Helen) and this weekend they will be opening their Tasting Room down on the Yonkers Waterfront . 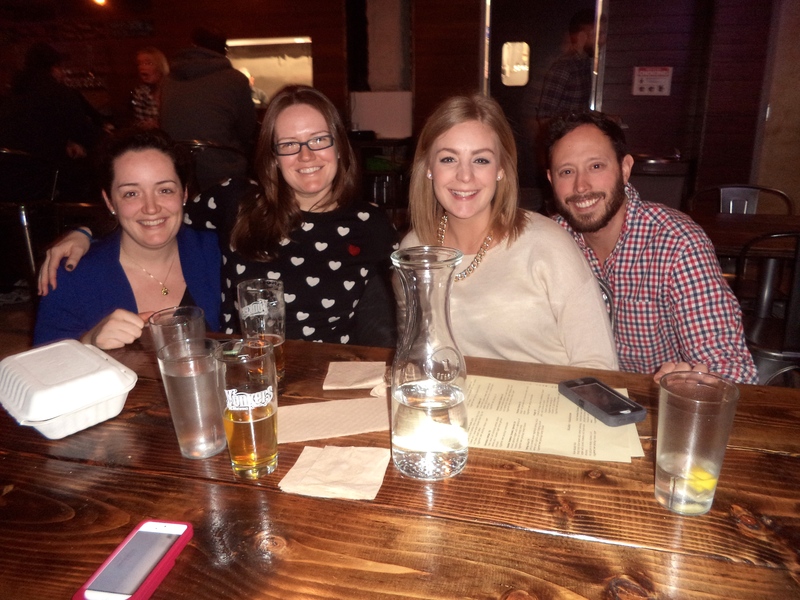 We went down for a visit last night and the food was great! And look who we found behind the bar . 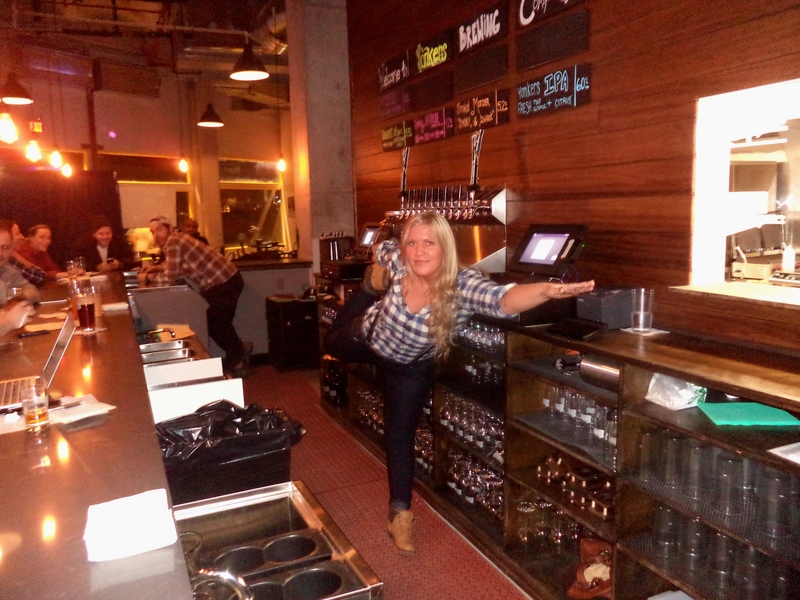 Kristen showing us her Naterajasana .